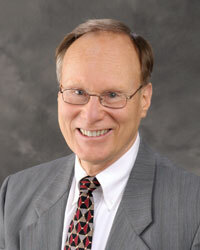 Geoffrey White, PhD - Dr. White is the Chief Executive Officer (CEO) of Canget. Dr. White received his PhD from the University of Virginia in Charlottesville in 1985. He has worked in the biotechnology sector since 1990, starting as a lab scientist and taking on positions of increasing responsibility up to the executive level. He has run drug discovery programs that resulted in deals with big Pharma and has had leadership roles on teams that have resulted in over 10 INDs being filed. He has negotiated numerous contracts and license agreements with companies such as Bayer, Nestles, Texas Inst, Archemix, and others. He also serves on the boards of or as an advisor to a number of drug discovery and medical device companies such as United Virology (a subsidiary of United Therapeutics Corp.), NovelMed, Microtransponder Inc, Cytonics Corp., Rosselini Scientific, and others. Dr. White has helped clients raise over $110 million in non-dilutive funds from the NIH, DoD, and NSF over the past eight years. Dr. White has published numerous articles in high impact peer reviewed journals. Dr. White is also President of Discovery Consulting LLC, a biotechnology consulting company that has served hundreds of clients and is a principal and managing director for CBT4CBT LLC (www.cbt4cbt.com) in which Dr. White has led many negotiations for exclusive rights from Yale for the IP related to web-based software for treating addictions. Fengzhi Li, PhD (www.roswellpark.edu/fengzhi-li) - Dr. Li is the founder and Chief Scientific Officer (CSO) of the Canget BioTekpharma company. The research in his academic laboratory has been supported by federal agencies (NIH/NCI, DOD) and various public/private foundations. Dr. Li has been initially involved in the characterization of the antiapoptotic survivin gene and is one of the top leading scientists in the survivin research field. In the past decade, he has developed an outstanding scientific career and published over 50 peer-reviewed articles in the drug resistance and anti-apoptosis cancer research field relevant to the inhibitor of apoptosis (IAP) and Bcl-2 family proteins. He was reported to be in the top 5% of cited authors for the Journals relevant to Biology and Biochemistry. Dr. Li has been on the review panel list for the James and Esther King Biomedical Research Program of the Florida Department of Health to review both Technology Transfer/Commercialization Partnership Grants and Novel Cancer Therapeutics Grants from 2010. Dr. Li is also a grant reviewer for a number of countries including the United States, Singapore, UK, Israel, Ireland, and Hong Kong of China. He is also an ad hoc reviewer for many scientific journals including Cancer Research, Clinical Cancer Research, Oncogene, British Journal of Cancer, Mol Cancer Therapeutics, Clinical Chemistry, Journal of Biological Chemistry, Molecular Cancer Research, Apoptosis, BMC Cancer, Journal of Cellular Physiology, Current Cancer Therapy Reviews, Current Cancer Drug Targets, J Cell & Mol Medicine, Mol Biol of the Cell, Curr Medicinal Chemistry, Cancer Immunology Immunotherapy and PLoS ONE. He is an editorial board member on several scientific journals including Journal of Experimental & Clinical Cancer Research, American Journal of Translational Research and International Journal of Clinical and Experimental Medicine. He is also a member of a number of scientific societies including American Society for Biochemistry and Molecular Biology (ASBMB), American Association for the Advancement of Science (AAAS), American Association for Cancer Research (AACR) and the New York Academy of Sciences (NYAS). 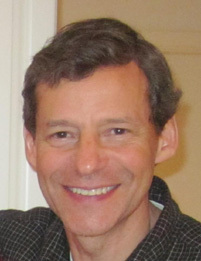 Scott Friedman, Esq. - Mr. Friedman is the Managing Partner of Lippes Mathias Wexler Friedman LLP, where he works closely with entrepreneurs, early stage pharmaceutical and medical device companies, and venture capital investors. He is the author of numerous articles and several books related to legal and business matters including Family Business and Positive Psychology: New Planning Strategies for the 21st Century. 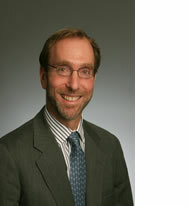 Mr. Friedman serves as a Manager and General Counsel of Canget BioTekpharma. Youcef M. Rustum, PhD - Dr. Rustum came to the United States at age 19 from Syria and obtained his PhD at the State University of New York (SUNY) at Buffalo in the Department of Biochemical Pharmacology. After graduation, Dr Rustum worked at Roswell Park Cancer Institute (RPCI) in Buffalo, New York where he headed a Molecular Pharmacology laboratory with major emphasis on trans¬lational research. His work aimed at the development of new drugs and therapy of cancer. Dr. Rustum was appointed the Deputy Director of the Grace Cancer Drug Center at RPCI from 1988 to 1995. Since 1995, Dr Rustum held the position of Senior Vice President for Science Administration at RPCI. He has also served in various other senior administrative capacities, Chair of the Department of Cancer Biology and Associate Provost of SUNY/Buffalo, promoting inter¬action and collaboration between RPCI, SUNY at Buffalo, Hauptman Woodward Institute and other national and international Institutions. Dr. Rustum also established the first center for advanced scientific, clinical and administrative training of foreign graduates at RPCI and other centers in the USA During his career, Dr. Rustum trained over 300 scientists and clinician scientists from Europe, Asia, Middle East, Africa and the United States. His laboratory played a major role in the preclinical and clinical development of several new drugs for solid tumor malignancies such as Xeloda, irinotecan, oxaliplatin and celecoxib as well as the use of selenium as selective modulation of response to anticancer drugs. Under his leadership and in collaboration with clinical staff at RPCI, the so-called Roswell Park regime of 5¬-flourouracil/leucovorin became the new standard of care world wide for the treatment of patients with advanced colorectal cancer. Based on data generated in Dr. Rustum’s laboratory demonstrating synergistic interaction between selenium and anticancer drugs, a mechanism-based drug combination is under clinical development and evaluation in cancer patients. In addition, Dr. Rustum served on many review boards, both academic and pharmaceutical developing strategic plan for drug and therapy development. He led cooperation efforts for revamping of the administrative, clinical and scientific structures of RPCI to meet the 21 century requirement for outstanding comprehensive cancer center. After his retirement from his administrative position, Dr. Rustum continues to be involved in cancer translational research and molecular pharmacology as an Emeritus Professor at RPCI. He is continuously working on building strong and effective collaborative research and clinical efforts with other centers in the Arab world and elsewhere. 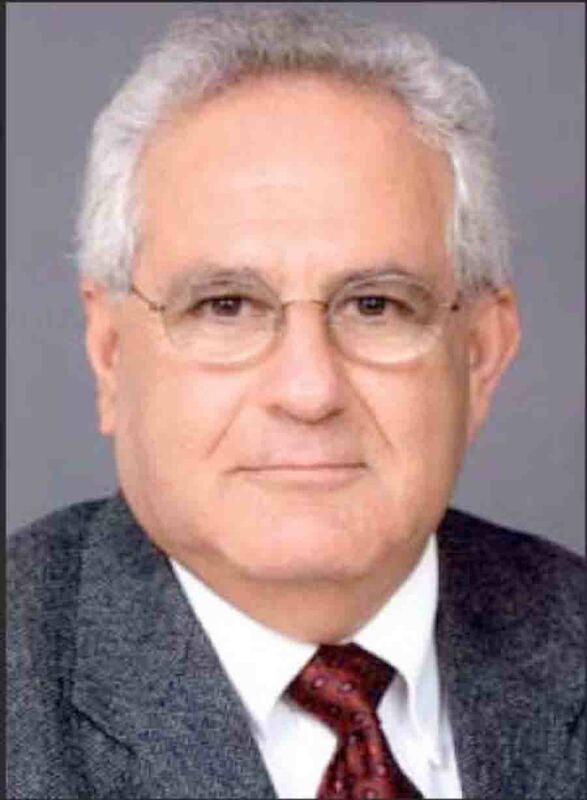 He served as advisor to a number of Universities and Cancer Centers inside and outside the United States, include the Scientific Board of Directors of the King Hussein Cancer Center and as Board Member of the King Hussein Cancer Biotechnology Institute in Amman, Jordan. Additionally, Dr. Rustum also served a number of scientific journal board member, such as a member of the Editorial Academy of the International Journal of Oncology. In honor of Rustum family and his contributions to science, a Rustum Family Endowed Fund was established to support young physician scientists who lead translation cancer research effort at RPCI and to train low income students at RPCI. John J. Seman - Mr. Seman is the CEO and Co-Founder of ZOETIC Pharmaceuticals (www.zoeticpharmaceuticals.com) Mr. Seman began his career in global life science corporations working for E. R. Squibb & Sons and then Johnson & Johnson, holding various management positions in sales, marketing and business development. 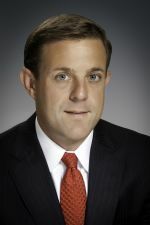 During this tenure, he was an important team member responsible for the introduction a new cardiovascular drug that achieved sales of $100 million in the first year on the market, managed a portfolio of biotech products valued at over $500 million, and actively participated in the licensing and acquisition of multiple pharmaceutical products. His senior management experience includes an executive leadership position focused on expansion of central laboratory services into the global market for Covance, an international contract research organization. The past 20 years have been spent in entrepreneurial startups where he built an innovative technology based company, AVANTEC, to accelerate the receipt of clinical trial data from investigator sites, securing multiple rounds of financing; boot strapped, tripled revenue, and sold a reimbursement services company, HealthBridge; secured initial funding from angel investors for a preclinical research company, PhysioGenix, transforming a SBIR funded company into a revenue generating company; founded an innovative dental pain management company, Amorsus Pharma, and most recently grew public funding by over 50% within the first year for a non-profit medical education organization, IDIS. Mr. Seman holds a Bachelor of Science degree in Pharmacy, and received a Master of Science degree with honors in Pharmaceutical Economics and Business Administration, from the Massachusetts College of Pharmacy. He is an active participant in industry associations, often asked to present at national conferences, and has published articles on bench marking best performance. Mansukh Wani, PhD Dr. Wani has a distinguished scientific career. He co-discovered Taxol and camptothecin, two of the world's most widely used anti-cancer medications. Dr. Wani, in partnership with the late Dr. Monroe Wall, reported the structure of camptothecin and Taxol, which were found in plants in 1966 and 1971, respectively. These compounds, and their derivatives today, represent nearly one-third of all anti-cancer medications on the market. Dr. Wani has earned an extensive list of prestigious awards for his work. These include the Charles F. Kettering Prize which recognizes the world's most outstanding contributions to the diagnosis and treatment of cancer, the Bruce F. Cain Memorial Award given by the American Association for Cancer Research, the National Cancer Institute Award of Recognition, the Indiana University Distinguished Alumni Award for significant contributions to the world through commitment to science and research, and the North Carolina Award, the state's highest achievement. Alex A. Adjei, MD, PhD, FACP - Dr. Adjei currently is the Professor of Oncology and a leader in clinical trials at the national renewal institute of Mayo Clinic (Rochester, Minnesota) with more scientific and clinical focus and duty. He is one of the top national renewal scientists and clinicians at the interface of translational and clinical cancer research, treatment and patient care. Previously, Dr. Ajei was the Professor and Chair, Department of Medicine, and Senior Vice-President for Clinical Research and Katherine Anne Gioia Chair of Cancer Medicine at Roswell Park Cancer Institute in Buffalo, NY, USA. Dr. Adjei completed an internal medicine residency at Howard University in Washington DC, and a medical oncology fellowship at Johns Hopkins University. He has been a Professor of Oncology at the Mayo Clinic College of Medicine, as well as a Consultant in Oncology at the Mayo Clinic and Foundation. He was the Director of the Phase I and Lung Cancer Programs at the Mayo Clinic Cancer Center. He has served on a number of National Institute's of Health Committees and is currently on the Clinical Research Review Committee Study Section of the National Center for Research Resources. He also co-chairs the Task Force on Clinical Trials Design for the Investigational Drugs Steering Committee at NCI. He is the Senior Editor of Molecular Cancer Therapeutics, and Associate Editor of Current Drug Targets, American Journal of Clinical Oncology and Investigational New Drugs. He is a program committee member of the American Society of Clinical Oncology (ASCO). He was a member of the Scientific Organizing Committee of the AACR-NCI-EORTC International Conference on Molecular Targets and Cancer Therapeutics in Boston in 2003 and has been on the AACR Annual Meeting Program Committee since 2002. He currently serves as faculty and a member of the program committee of the AACR-ASCO Methods in Clinical Research Workshop for fellows and junior faculty in Vail, Colorado. He was a member of the AACR Scientific Awards Committee in 2003 and 2005. 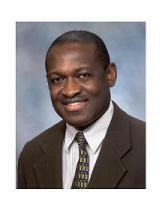 Dr. Adjei's research is focused on development of novel agents for the therapy of solid tumors. In the clinic, his work has focused on the assessment of toxicity, pharmacology, and initial activity of selected agents and regimens in early clinical trials, development of biomarkers of drug effect, as well as phase II clinical trials of novel agents in cancer. He is interested in both the elucidation and research of mechanisms of action and resistance of novel agents that inhibit cell signaling. Ravindra K Pandey, PhD - Dr. Pandey is a Distinguished Professor and Director of Pharmaceutical Chemistry, Department of Cell Stress Biology, at Roswell Park Cancer Institute. Dr. Pandey is an editorial board member on the Journal of Porphyrins and Phthalocyanines, Current Organic Chemistry, and Current Organic Synthesis. He is a founding member of the International Society of Porphyrins and Phthalocyanines. He has organized several national and international scientific symposiums and has delivered a large number of plenary and invited lectures all over the world on photodynamic therapy (PDT) and tumor imaging. He has received several awards including the Inventor of the Year Award (Niagara Frontier), the Rajiv Gandhi Award of Excellence, and ?Who's Who in Science.? He has been a reviewer of research grants for many international governmental agencies (US, UK, Canada, Singapore, France) and private foundations. He has 30 patents to his credit and published over 200 research papers in various reputable international journals, as well as many review articles and book chapters. His research is well funded by national funding agencies and private organizations. Dr. Pandey is also the founder of Photolitec, LLC, a biotech company to develop cancer imaging and therapeutic agents. Several of Dr. Pandey's developed agents have now moved into clinical trials in developing countries. Carl Porter, Ph.D - Dr. Porter is an Emeritus Professor of Molecular Pharmacology and Therapeutics at the Roswell Park Cancer Institute in Buffalo, New York where, until recently, he served as a Distinguished Member and as Leader of the Institute Therapeutics Program. 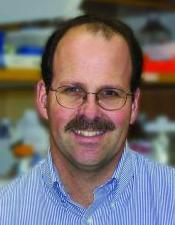 He is an accomplished scientist and expert in anticancer targets and the pre-clinical development of anticancer agents. Dr. Porter has written and published nearly 200 scientific articles and has been awarded six patents in the areas of anticancer target and drug discovery. Over the course of his 35 yr career at Roswell Park, Dr. Porter garnered more than $16 million in grant support from the NCI and the Department of Defense. He received one of the first NCI-sponsored National Cancer Drug Discovery Grants and led a group of 6 prominent investigators from around the country for 12 years. Those efforts facilitated the discovery and development of two experimental anticancer drugs that progressed to clinical trial. He has consulted for pharmaceutical companies including Ciba-Geigy (now Novartis) and Warner Lambert Parke Davis (now Pfizer). He has served on various editorial boards including Cancer Research and participated in NIH review activities including site visits and program grant review panels, many of which he chaired. Dr Porter has a M.S. in microbiology from West Virginia University and a Ph.D. in neuropathology from the State University of New York at Buffalo. He has mentored more than 10 doctoral students. Craig T. Jordan, Ph.D - Dr. Jordan is the current Chief of Division of Hematology and Nancy Carroll Allen Professor of Hematology and Professor of Medicine, University of Colorado School of Medicine. Previously, he was the Professor of Medicine and Biomedical Genetics, Division of Hematology and Oncology, University of Rochester Medical Center, and associate director for Translational Research at the James P. Wilmot Cancer Center, University of Rochester School of Medicine, Rochester, New York. Dr. Jordan is one of the top scientists in the cancer stem cell field and has been studying human leukemia stem cells for more than a decade, using molecular and genetic analyses to identify characteristics that may extend the capabilities of personalized medicine. He is a patient, diligent pioneer in this effort. Adding to the challenge, he is working against a foe that is surprisingly elusive. A major breakthrough came in 2001, when they released an article in the journal Blood showing that the nuclear-factor kappaB (NFkB) molecular switch is activated in acute myelogenous leukemia stem cells. It revealed a vulnerable target for the disease. Now, Dr. Jordan is working with Leuchemix Inc. to test a plant-derived drug called parthenolide, which targets NFkB, in a phase I clinical trial. A number of other small molecules that target additional leukemia stem-cell characteristics are in the pipeline. Dr. Jordan works successfully with collaborators in government and with industry, including NCI's RAID (Rapid Access to Intervention Development) program. Dr. Jordan completed his doctoral studies at Princeton University with a focus on hematopoietic stem cells and went on to post-doctoral studies at the Whitehead Institute. He then spent several years working in the biotechnology industry (Genentech Inc, Aastrom Biosciences, and Somatix, Inc) before rejoining the academic ranks in 1997 at the University of Kentucky as an assistant professor of medicine. Dr. Jordan has been and is an Editorial Board member or Academic Editor on numerous journals including Leukemia, Stem cells, and PLoS Biology and is ad hoc reviewer for numerous journals including Blood, Nature Medicine, Cancer Cell, PNAS, Cell Stem Cell, Cancer Research, Nature Reviews Cancer, Lancet, Nature, Nature Reviews Drug Discovery, Science, New England Journal of Medicine, Drug Discovery Today, etc. Dr. Jordan has participated in many NIH/NCI grant review processes and published over 80 peer-reviewed original research articles, review articles and book chapters. He has successfully maintained national level grants including awards from the NIH/NCI, Department of Defense, Leukemia and Lymphoma Society, and American Cancer Society. collaborative research projects including cancer research, behavioral studies, and health policy studies. She has over 15 years’ experience as a biostatistician in several cancer centers. Many of her research papers are published in statistical methodology and cancer research journals. In addition, she has served as a committee member in Protocol Review and Resource Utilization Committee (PRUC) at University of Florida Shands Cancer Center for three years and several NIH R01 Grant Study Sections as a reviewer on bio statistics-related proposals. Currently, Dr. Tian is the Professor and Associate Chair in the Department of Biostatistics, School of Public Health and Health Professions, the State University of New York (SUNY) at Buffalo (University at Buffalo – UB). She is also a member of the American Statistical Association, and International Biometric Society. Gerald Fetterly, Jr., PhD - Dr. Fetterly currently is the Vice President who is responsible for Clinical Pharmacology & Regulatory Affairs at Athenex (Buffalo, NY). He has over fifteen years of experience with successful regulatory submissions for INDs, Dossiers and NDAs across the globe, and formulating dose selection through all phases of the oncology drug development process Prior to moving to Athenex, Dr. Fetterly was the Director of the Pharmacokinetics (PK) and Pharmacodynamics (PD) Core Resource at Roswell Park Cancer Institute (RPCI). He currently is still a faculty member at RPCI Dr. Fetterly received his doctoral degree in Pharmaceutical Science from the University at Buffalo in 2000. He possesses considerable expertise in developing oncology agents and the liposomal encapsulation of drugs. Specifically, his doctoral work and subsequent publications focused on an extensive comparison of the PK/PD relationships of various anticancer drugs, such as liposomal paclitaxel, trabectedin, and mTOR inhibitors. Dr. Fetterly has developed both preclinical and clinical PK/PD models to characterize the temporal relationship between the PK of the drug in relation to the time course of drug related PD endpoints such as neutropenia and transaminase elevation. Dr. Fetterly has research experiences at Cognigen where he performed population PK/PD modeling among other projects, and provided consulting services for both industry and academia to assess the impact of patient factors that are sources of variability not only in PK but also in the PK/PD relationships for both efficacy and safety, mainly for oncology and neuropharmacology drugs. At Cognigen, he led and managed interdepartmental projects in Clinical Pharmacology, provided sparse sampling designs for clinical pharmacology trials, provided clinical pharmacology services for regulatory strategy during Advisory Board and Sponsor/FDA meetings, was a reviewer for the non-clinical and clinical pharmacology development sections of various INDs and NDAs, and was also a consultant in the interpretation of preclinical data and extrapolation of implications for human clinical development utilizing PK/PD modeling approaches. 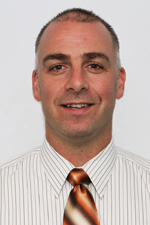 From 2000-2002, Dr. Fetterly was a clinical pharmacology and biopharmaceutics reviewer at the FDA. The experience of working with the agency has allowed him to supply insight to industry about the necessary components for a successful IND and NDA submission, along with guiding dose selection during the drug development process. 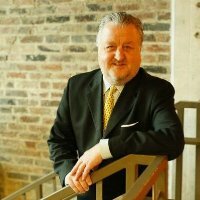 Brian R. Pettit is the founder and Principal Facilitator of 3P Associates, a Human Resources Consulting Company. Brian is known for coaching brilliant scientists who are renowned in their field, as they take their first steps into leading a staff. Brian guides new leaders through interpersonal relationships and legal minefields while maintaining a commitment to fostering a culture that includes SMART goals, process improvement, respect for individual dignity, valuing diversity and effective teamwork. Brian is certified in several organizational development (OD) best practices including: DDI, Langevin, Mager, Insala, and ADP. Brian achieved master trainer certification in leadership curriculum at Motorola University and teaches leadership, quality and lean manufacturing for many for profit companies, non profit agencies, UB, Canisius and ECC. He has formed strategic partnerships with many organizations including EKWard, Beaver Hollow Conference Center, Choice Benefits Payroll and HR. He has over 20 years of professional HR experience, especially in business and succession planning, as a business partner in high tech aerospace (Moog), electronics (Motorola), pharmaceuticals (Invitrogen), food processing, hospitals, financial services and service organizations. In addition, Brian has conducted international searches for executives and PhD scientists and engineers using a competency based matrix selection tool for candidate comparison. During his career, he has secured many training grants; developed score card metrics; crisis management plans; 360 degree feedback instruments; and international HR policy & procedure manuals for companies. Martin K. Casstevens is the Business Formation and Commercialization Manager in the Office of Science, Technology Transfer and Economic Outreach (STOR) at the State University of New York (SUNY) at Buffalo (University at Buffalo, UB). In this position, he is responsible for or plays a role in startup business formation, entrepreneurial activities, technology valuations, incubator management, SBIR/STTR support/mentoring, venture financing, a business plan competition, and outreach functions. Mr. Casstevens is also the Director at the Directed Energy, a New York State Energy Research and Development Agency (NYSERDA) - funded virtual energy business incubator with clients in a wide range of technical areas. 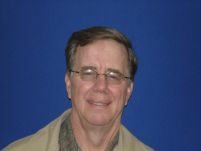 Mr. Casstevens has rich experiences in business management, administration and organization in his career. He was the General Manager and Senior Scientist at the Hybrid Technologies, LLC for 6 years and the Business Manager and Senior Scientist for more than four years at the Laser Photonics Technology, Inc. where he made great achievements both in his management role and in his scientific role. Under his leadership, LPT was profitable, developed many technological innovations in state-of-the-art laboratory facilities, and started several new business ventures including testing services, collaborations with strategic partners, and established two new companies - one committed to state-of-the-?art laser based medical analytical instruments and the other to holographic data recording. As a senior Scientist and PI, he led over two million dollars of externally funded research projects as well as being a staff scientist on all other projects in the company. He earned a BA in Psycho-Biology and did graduate work from 1982 to 1989 in the Biophysical Sciences Program under the guidance from both Dr. Robert Baier and Dr. Paras Prasad at UB. 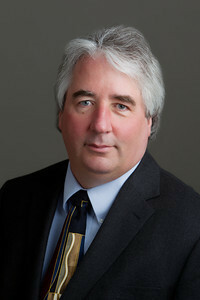 Therefore, beside his business management and administrative ability, Mr. Casstevens has strong scientific knowledge in surface chemistry and ultrafast laser spectroscopy of monomolecular films mimicking photosynthetic processes as well as in mass spectrometry, biochemistry, X-ray crystallography, polymer science, spectroscopy, and microscopy. He has more than 15 scientific publications and one issued patent. It is very fortunate for Canget BioTekpharma to have him as a member in the Business Advisory Board. Canget will benefit from his unique background in business, science, administration, and management experiences. Nathan R. Wall, PhD, MBA, MS - Dr. Wall has tremendous experience and standing in the cancer field and is an expert in the cancer cell death inhibitor Survivin and its role in modulating the tumor microenvironment. In 2005, with an 8.5 million dollar NIH grant that Dr. Wall and four of his colleagues were awarded, Dr. Wall and his colleagues founded the Center for Health Disparities and Molecular Medicine at Loma Linda University. The Center's mission is to eliminate health disparities through research, education, and community engagement. Dr. Wall obtained outstanding post-doctoral biomedical and molecular training at prestigious institutions such as Yale University and Harvard Medical School. He graduated with his PhD from the first Cancer Biology Graduate Program in the United States at Wayne State University's Karmanos Cancer Institute and Michigan Cancer Foundation. After being highly recruited to Loma Linda University's School of Medicine, he went on to complete his Master's in Business Administration at the University of Redlands where he serves on the Alumni Board of Director's and he is currently working towards his Master's degree in Public Health. Dr. Wall is an active volunteer in both professional and civic arenas. He currently serves proudly in the California Army National Guard where he has rose to the rank of Captain and Company Commander of the states' Medical Command. He was recently awarded the Army Achievement Medal (AAM). He and his wife Jill have recently adopted 5 children from their local area and are active in all things that 4, 5, 10, 12 and 15 year olds can get into. 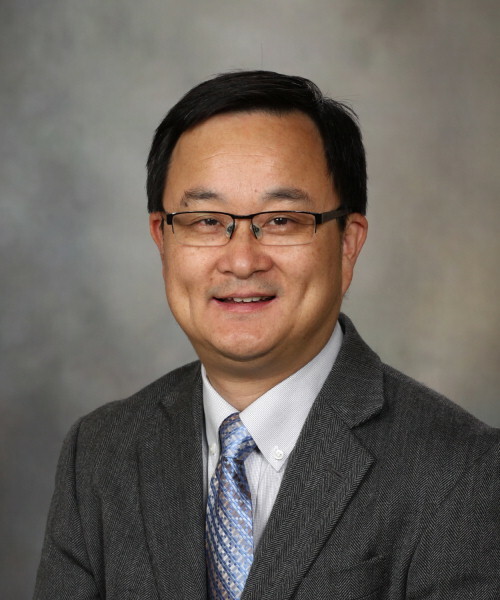 Haojie Huang, PhD – Dr. Huang is the Professor and Consultant in the Departments of Biochemistry & Molecular Biology, and Urology, Mayo Clinic College of Medicine and Science, Rochester, Minnesota. He has extensive research interests and uses state-of-the art advanced technologies for his research. His research focus areas include, but not limited to: 1) PTEN-FOXO1 tumor suppressors and prostate cancer survival and metastasis. 2) Aberrant activation of the androgen receptor (AR) and therapy resistance in prostate cancer. 3) Transcription coregulators (e.g. CBP and p300) in prostate tumorigenesis. 4) Chromatin structure and epigenetic modulation through histone-chromatin modifiers (e.g. EZH2) in prostate cancer progression. 5) Enhancer RNAs (eRNAs) and their role in cancer. 6) How the tumor suppressor SPOP mutations promote prostate tumorigenesis, aberrant AR transcriptional activity, genomic instability and therapy resistance. These studies will not only shed new light on the etiology of prostate cancer but also may lead to identifying novel targets for diagnostics, prognostics and therapeutics for this lethal disease. He is the recipient of multiple NIH R01 grants and has over a hundred peer-reviewed publications in high impact factor journals. Dr. Huang is one of the leading investigators focusing on basic and translational research in prostate cancer. He is a regular member of the NIH Cancer Molecular Pathobiology (CAMP) Study Section from 2015 to 2021. Dr. Huang also has editorial responsibilities in several peer-reviewed journals such as the board member of Cancer Research since 2016. He was the recipient of 2002 American Association for Cancer Research (AACR)-AFLAC Scholar-in-Cancer Research Award, the 2006 Society for Basic Urologic Research (SBUR) Young Investigator Award, and the 2015 Prostate Cancer Foundation (PCF)-Movember Challenge Award. Tao Jiang, PhD - Dr. Tao Jiang is the Professor and PhD student tutor at the Key Laboratory of Marine Drugs designated by the Ministry of Education of China, School of Medicine and Pharmacy, Ocean University of China at Qingdao, China. 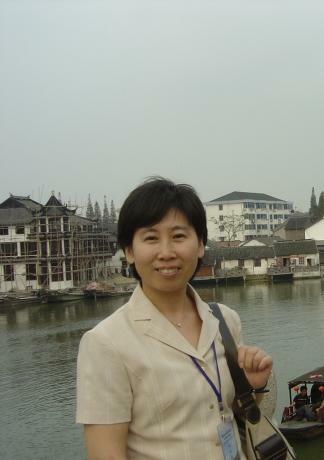 Dr. Jiang's research interests focus on the chemical modification of bioactive bompounds by saccharide and anti-tumor activities of the modified compounds, total synthesis of marine alkaloids and their structure activity relationship. As a leadership role, Dr. Jiang has been involved in and initiated many medicinal chemistry projects at the national level from Chinese government including several projects from the National Nature Science Foundation of China as the project principle Investigator (PI). She has published about 50 peer-reviewed research papers. Carl D. Morrison, MD, DVM - Dr. Carl Morrison is the Senior Vice President for Scientific Development and Integrative Medicine, Director of the Pathology Resource Network, Director Molecular Pathology, Professor of Pathology, and program member in Cancer Genetics at Roswell Park Comprehensive Cancer Center (Roswell Park). Prior to coming to Roswell Park, Dr, Morrison spent five years as a faculty member at the Ohio State University Medical Center after completing his residency there in Anatomic Pathology. Dr. Morrison is a board-certified pathologist with a Certificate of Qualification in Oncology in NYS who has an interest in both clinical and research areas. As the Senior Vice President for Scientific Development and Integrative Medicine, Dr. Morrison will support the development of new core capabilities and technology platforms in order to conduct highly integrative research across both the basic sciences and clinical care. Dr. Morrison continues to lead the Pathology Resource Network (PRN). The overall goal of the PRN is to facilitate access to human biospecimens for IRB-approved investigators with an emphasis on translational efforts. The services offered are quite diverse and serve a unique link between the research and clinical arena. Dr. Morrison previously directed the Clinical Data Network (CDN) at RPCI. The CDN is the organization of clinical data for research purposes utilizing a federated database approach. The primary goal of the CDN is the promotion of translational research in a non-human subject research setting. Dr. Morrison's expertise in molecular pathology and other translational research areas would benefit Canget's anticancer drug development in the coming years. Terry Beerman, PhD - Dr. Beerman is an Emeritus Professor of Molecular Pharmacology and Therapeutics at Roswell Park Cancer Institute, Buffalo, New York. After completion of a Postdoctoral Fellowship in the Pharmacology Department at Harvard Medical School, he joined the Experimental Therapeutics Department at Roswell Park to continue his research on mechanism(s) of action of DNA reactive antitumor drugs. His research has been extremely diverse and extended into novel studies of DNA strand scission agents, topoisomerase targeted drugs, inhibitors of DNA replication, and drugs targeted toward transcription factor DNA binding domains. His approach for understanding drug action at the molecular level utilized defined DNA targets in environments ranging from cell free DNA targets to mouse models. Throughout his career, he has collaborated with many international known chemists including several National Academy of Sciences members to utilize state of the art chemistry for the development of new types of designer drugs capable of targeting specific types of DNA structures. His contribution to our understanding of DNA targeted drugs uncovered many novel findings including the identification of the first DNA strand scission radiomimetic compound, minor groove binding drugs that inhibit catalytic activity of topoisomerase I and II, polyamides that target unique genomic sequences, radiomimetic compounds that can function under hypoxic conditions, and drugs that can target DNA replication origins. 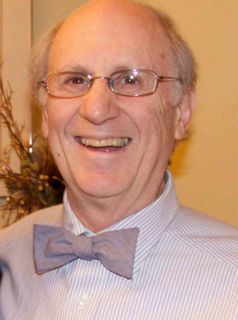 Dr. Beerman received a Ph.D. from Syracuse University and during his 30 plus years at Roswell Park has served as an advisor to numerous Ph.D. and Masters students in his role as faculty member in the Pharmacology Department. He is an excellent educator and lectured in multiple courses in several academic departments and created a multidisciplined forum bringing together researchers from area universities who share common research interests. Over his career, he received numerous research grants from NIH and the American Cancer Society and published over 100 peer-reviewed research articles. David R. Pfalzgraf, Jr., Esq - Mr. Pfalzgraf is a Partner of Rupp, Baase, Pfalzgraf, Cunningham & Coppola LLC. He leads the firm's corporate practice group. Mr. Pfalzgraf works primarily with private and startup business enterprises. Mr. Pfalzgraf assists clients with all corporate needs including formation, dissolution, restructurings, mergers and acquisitions, divestitures, financing and investment matters, development matters, labor and employment issues, and commercial transactions. During law school, Mr. Pfalzgraf was the Editor-In-Chief of the Buffalo Law Review, the Champion of the Charles S. Desmond Moot Court Competition, and a member of the National Trial Team. After graduating from Miami University of Ohio, he served as an officer in the United States Navy. Mr. Pfalzgraf is affiliated with many organizations such as the Buffalo Club (President of the Board of Directors), Buffalo Renaissance Foundation, Inc. (Board of Directors, past President) and New York State Bar Association. Mr. Pfalzgraf has earned many awards or recognitions. These include the Named as one of Business First's "40 under 40" for the Buffalo/Niagara region; the Faculty Award for Outstanding Contributions to the Law School and the Carlos Alden Award for service on the Buffalo Law Review. Ke-Qin Hu, MD, PhD - Dr. Ke-Qin Hu is the Director of Hepatology Services and Professor of Clinical Medicine at the University of California, Irvine School of Medicine. Dr. Hu received his medical education and training in Tongji Medical University, China. He become Board Certified in Internal Medicine in US after his residency at Huntington Memorial Hospital, Pasadena, and completed a fellowship in Hepatology at the University of Southern California Liver Unit. Dr. Hu emphasizes bridging research advances to bedside patient care. He is involved in various clinical research and trials related liver disease, such as viral hepatitis B and C, and liver cancer. His basic research has focused on molecular virology and diagnosis of hepatitis B and C virus infection and chemoprevention of liver cancer. Dr. Hu has co-authored more than 100 research papers, book chapters, and review articles, including publications in Proceedings of the National Academy of Sciences of the USA, Journal of Clinical Investigation, and Hepatology. 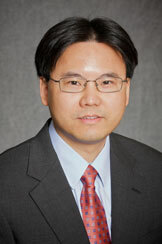 Dr. Hu serves to editorial board for several medical journals. Additionally, Dr. Hu is also dedicated to community outreach, public health education, and reduction of health care disparity. He is the advisory board member in several local and regional health promotion organizations. Yong Li, PhD - Dr. Yong Li is an Associate Professor of Strategy and Entrepreneurship at the School of Management, the State University of New York (SUNY) at Buffalo (UB). 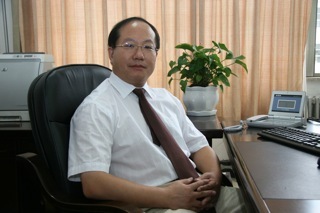 Dr. Li is also the Academic Director of the UB Entrepreneurship Academy. His research focuses on how to make venture capital and international investment decisions under conditions of uncertainty. He has published extensively on financing entrepreneurial ventures in leading strategy and entrepreneurship journals. Dr. Li teaches strategy and entrepreneurship courses for undergraduates, MBA students and doctoral students. He has advised startups and venture capital firms. 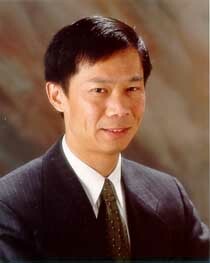 Dr. Li received his PhD from the University of Illinois at Urbana-Champaign. For more information, please visit www.buffalo.edu/~yl67. Jiayao Liu, PhD - Dr. Jiayao Liu currently is a professor, PhD student tumor and the dean of School of Life Sciences, Qingdao Agriculture University, Qingdao, China. He also holds a concurrent post of Shandong plant physiology Society vice-director. It is well known that plant is the source of medicine. For example, both taxol and camptothecin were originally discovered from plant extracts. 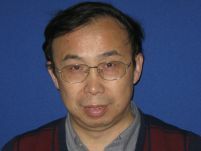 For many years, Dr. Liu is in charge of several National level research projects related to plants. These include projects from the National Nature Science Foundation of China and Postdoctoral Research Foundation of China, etc. She has published about 50 peer-reviewed research papers. Dr. Liu has published more than 60 publications in various important and high impact journals and 8 monographs. Additionally, His research won several awards. For example, the Shandong science & technology progress award and Shandong college outstanding scientific research achievements prize. Dr. Liu would be a great consultant for helping Canget to find new anticancer drugs from various plant extract. Enrico A. Mihich, MD - Dr. Enrico A. Mihich was the Inaugural Founding Scientific Advisory Board Member since Canget was officially founded in April 26, 2012. He passed away on December 29, 2016 at the age of 88. Before his leaving from us, Dr. Mihich was the Presidential Scholar and Special Assistant to the President for Sponsored Research, Dana-Farber Cancer Institute, Harvard Medical School. He was the Director of Grace Cancer Drug Center and the Chairman of Department of Pharmacology & Therapeutics at Roswell Park Cancer Institute for more than thirty years. He was a former American Association for Cancer Research (AACR) President and the President Reagan-appointed member of the U.S. National Cancer Advisory Board. He was also the former member of the Board of Scientific Advisors (BSA) of the National Cancer Institute (NCI) at the National Institutes of Health (NIH) of the United States. Dr. Mihich had authored over 400 scientific publications and was the Editor-In-Chef of Cancer Immunology Immunotherapy and a member of the editorial board of many peer-reviewed journals.